With Halloween looming, learn how to make your readers scream! 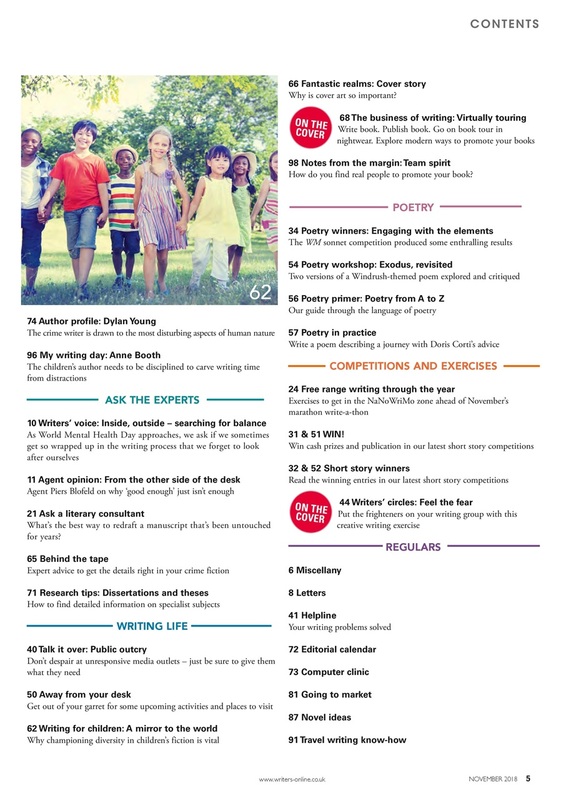 In the new issue of Writing Magazine, we show you how to write scarily good horror. 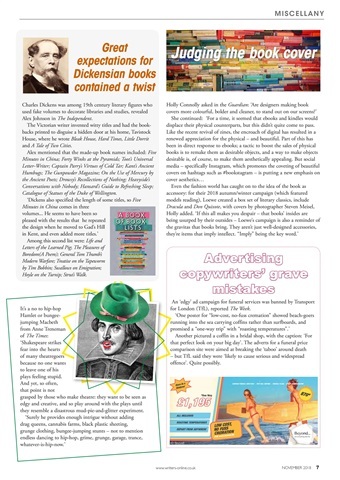 Who doesn't want to increase sales and reader engagement without leaving the comfort of their own home? We show you how to do it. 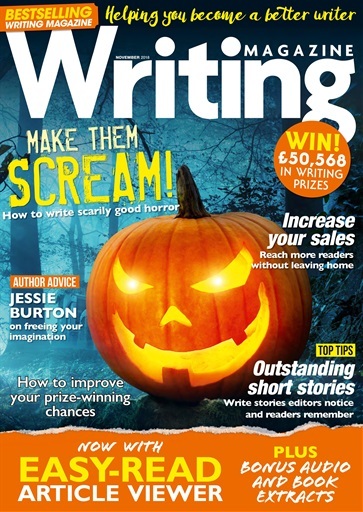 We all want our short stories to stand out, and in this issue you can learn how to write short stories that editors notice and readers remember. 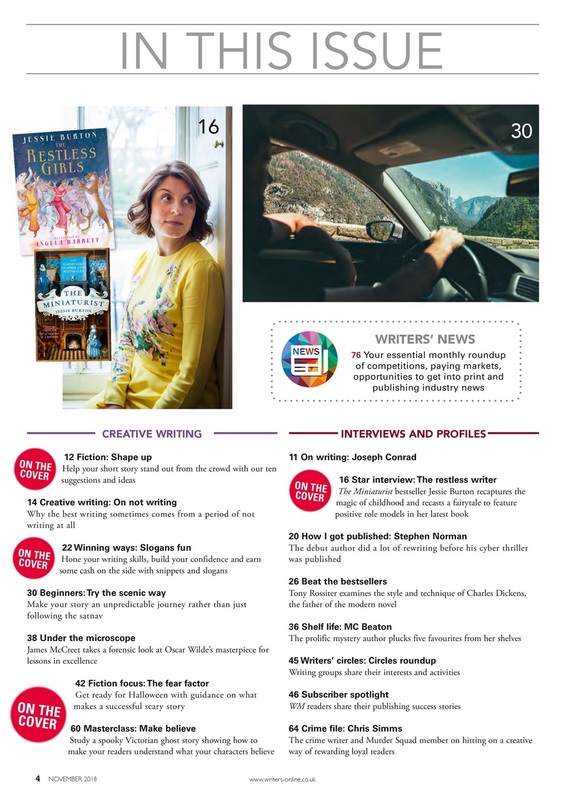 Our star interview is Jessie Burton, bestselling author of The Miniaturist, talking about her first book for children and freeing your imagination to retell fairy stories for 21st century readers. 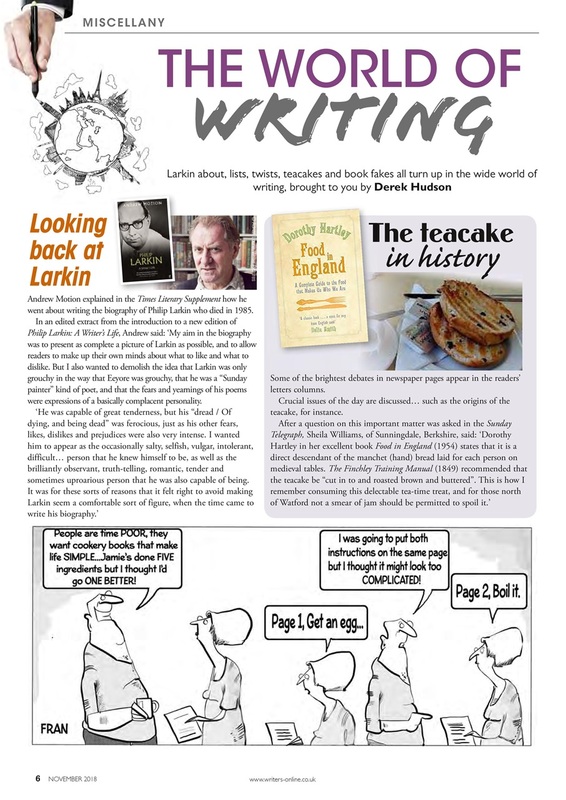 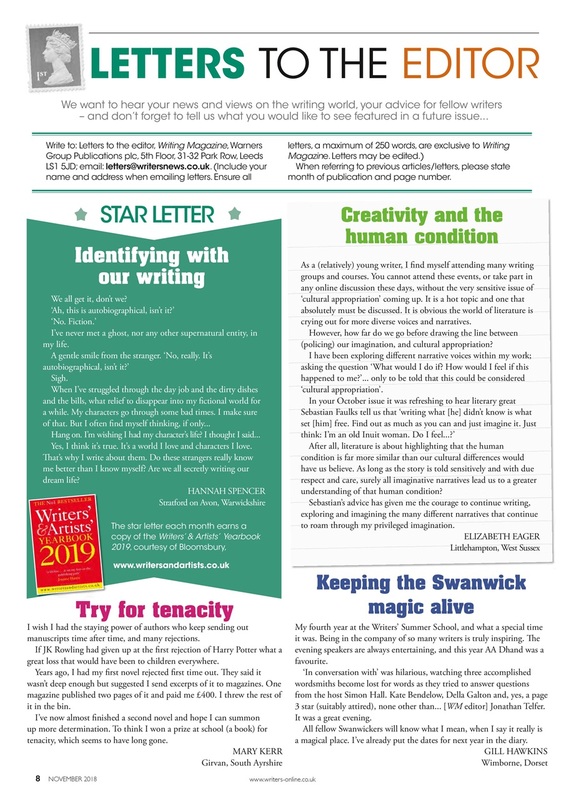 You can keep up to date with all the latest writing opportunities in the packed pages of Writers' News.